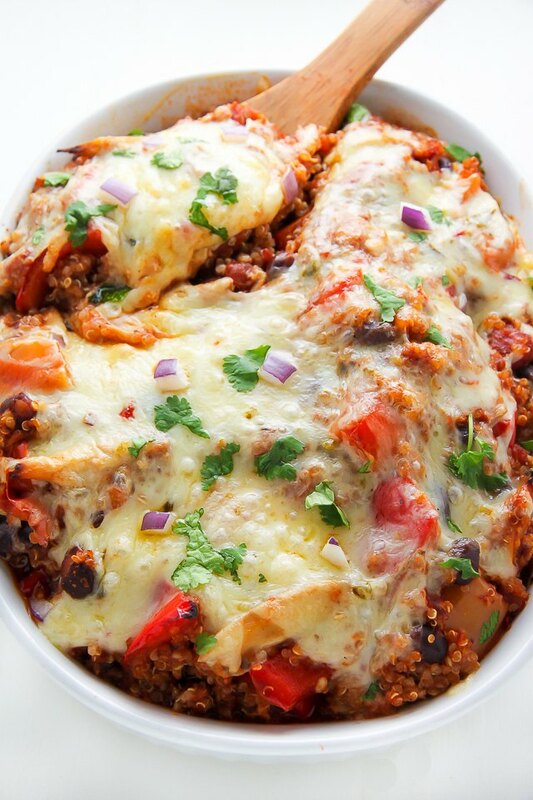 Healthy and hearty, this Southwest Chicken Casserole is one of our favorite dinners! 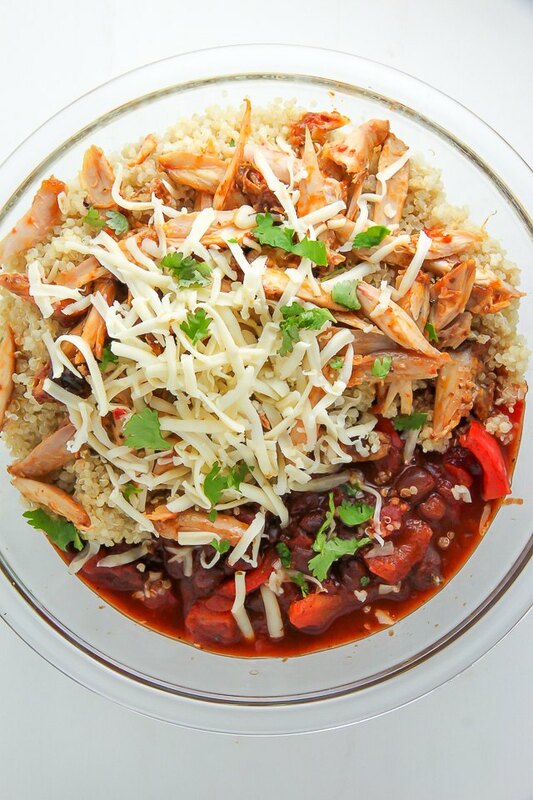 The combination of toothy quinoa, juicy chicken, spicy red sauce, and gooey cheese is irresistible! The best part? It can be on the table is just 45 minutes. 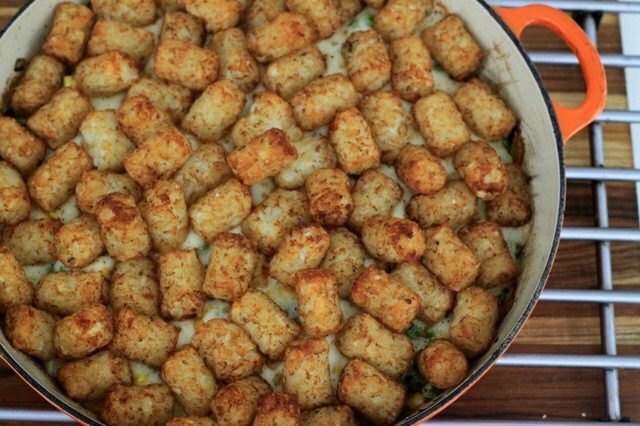 This casserole makes enough to generously serve 8, making it great for large families. If you're lucky enough to have any leftovers, they are delicious the next day. Preheat oven to 375 degrees (F). Lightly grease a 2 quart baking dish and set aside. 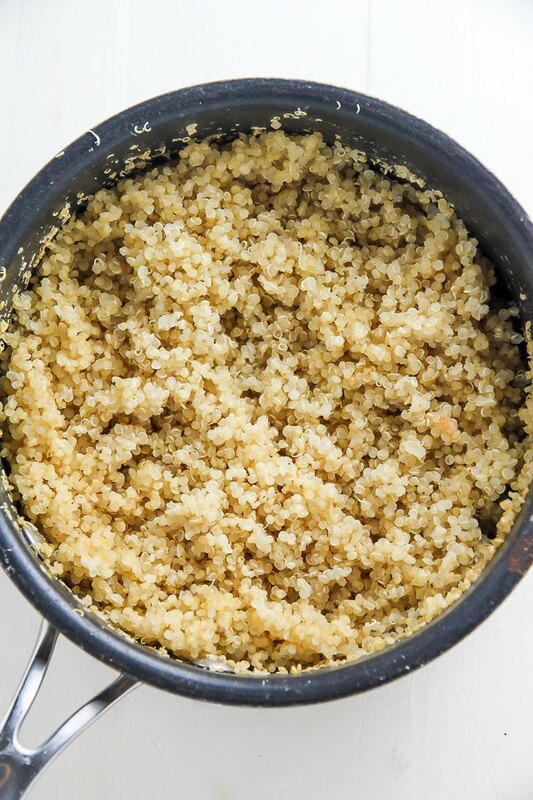 In a large saucepan add 2 cups water and cook the quinoa according to package instructions. Once fully cooked, transfer it to a large bowl and set aside. Heat the olive oil in a saucepan over medium heat. Stir in the crushed chipotle chili flakes, chili powder, dried oregano, cumin, garlic powder, salt and pepper and whisk to combine. Add the red peppers and red onion, stir to combine, and cook for 5 minutes. 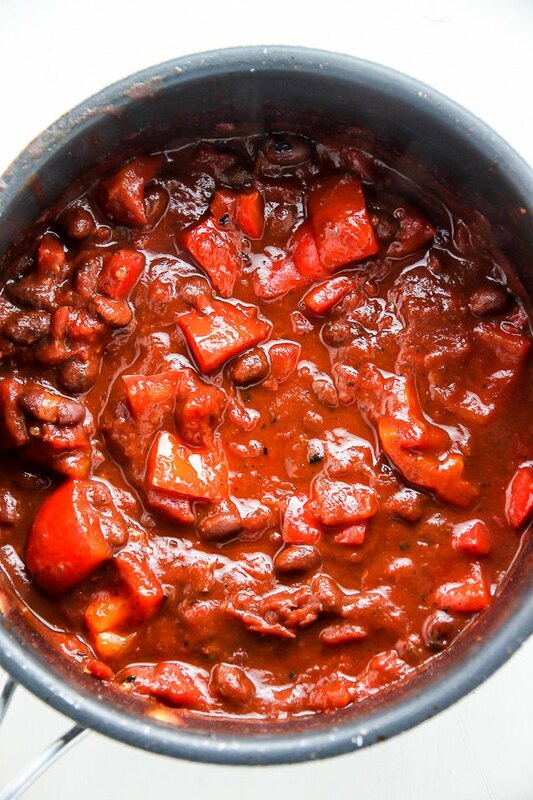 Add the crushed tomatoes and black beans. Bring to a boil, then reduce heat and simmer for 10 minutes. Into the large bowl holding the quinoa, add the pepper mixture, cilantro, shredded chicken, and half of the cheese. Stir well to combine. 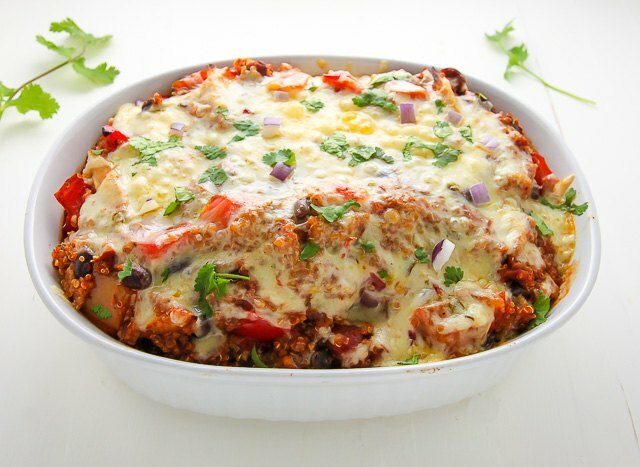 Spread the quinoa mixture into the prepared baking dish and evenly top with the remaining cheese. Place the pan into the oven and bake for 20 minutes, or until the cheese is golden, bubbly, and melted. Serve immediately, garnished with cilantro and red onion, if desired. For more delicious casserole recipes, these meals are easy to make and are sure to satisfy!